Journalist & author, Graham Marks, interviewed me about about my life and journey towards the publication of my picture book debut, 'The Queen's Hat', for the Hodder Children's website. Press HERE to read it on Hodder Children's website. I was lucky enough to get featured in this awesome magazine, which is chocked full of art, books, comics, and lots of fun! My book, 'Betty Goes Bananas' features in The Book Sniffer's double page bonanza alongside Jim Field, Michelle Robinson and Rilla Alexander. Thanks WRD Magazine and The Book Sniffer! Click to see the contents close-up. Book Sniffing Pug Goes Bananas over Betty Goes Bananas! The Book Sniffer is the first to review Betty Goes Bananas, publishing by Oxford University Press this August 30th. To celebrate, I drew this: the literary world's most famous book sniffing pug going bananas! You can read the review and an interview with me HERE. Thanks, Book Sniffer! Look what arrived in the post this morning. An advance copy of 'Betty Goes Bananas' via Oxford University Press! I'm so happy with the book! You really have to hold this book to fully appreciate it. It's a neat package of reds, yellows and pinks. The vignettes of Betty's mood swings sit perfectly on each page, as she takes us on an emotional roller-coaster. If you follow my work, you'll already know about this tempestuous toddler. But if you don't, here's a bit about Betty. Betty is a gorilla. A toddler gorilla that wears a pretty pink bow and a pink and yellow dress. Betty has tantrums. Big tantrums. But luckily she's got a toucan companion to appease her anger. Poor guy. In her picture book debut, Betty finds a banana that just won't open. That's how the story starts. So where did I get the idea? It came from one of my sketches: a gorilla in a dress about to slip up on a banana with the caption - Betty Goes Bananas - above it. 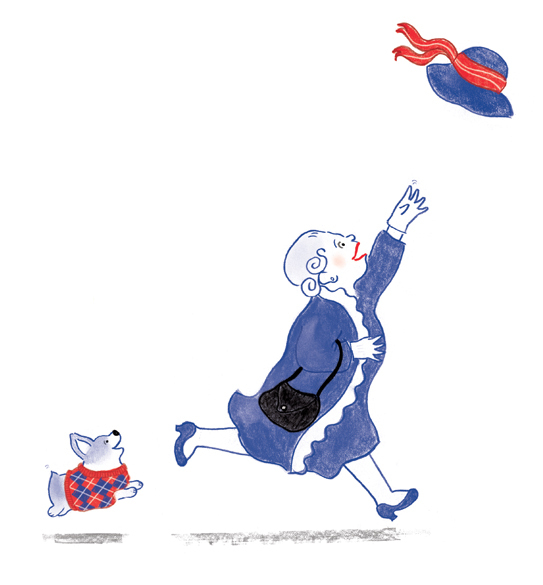 Oxford University Press (OUP) loved the character (and the caption) and suggested that I explore temper tantrums as a theme for Betty's story. I researched temper tantrums, developed Betty in a style that matched her bold personality, created a secondary 'parent/guardian' character (a long-suffering toucan), bought some banana paper, and then illustrated the story. I think it was about three weeks after my initial meet with OUP that I showed them my rough dummy for 'Betty Goes Bananas': a conceptual, brightly coloured and character-focused picture book aimed at 0+ that explores the seemingly illogical ups and downs of toddler tantrums that both parents/guardians and toddlers deal with. 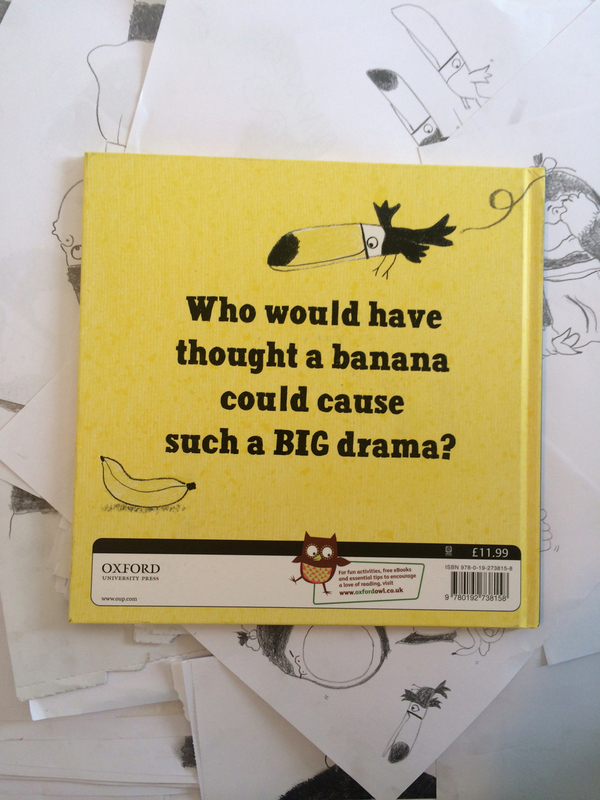 'Betty Goes Bananas' is to be published by Oxford University Press on August 7th (UK). You can pre-order it from lots of online shops - just Google Betty Goes Bananas. It turns out that this blog post is by far THE most visited page on my site, so here's all you need to know about Mr Panda, including links to activities and lesson tips. 'Please Mr Panda' (or 'Please, Mr. Panda' in some territories) was published at the end of 2014. The response has been incredible! It was Barnes & Nobles' Children's Book of the Month and read in over 640 of their branches at the same time across the States for their first Story Time event in January 2015. 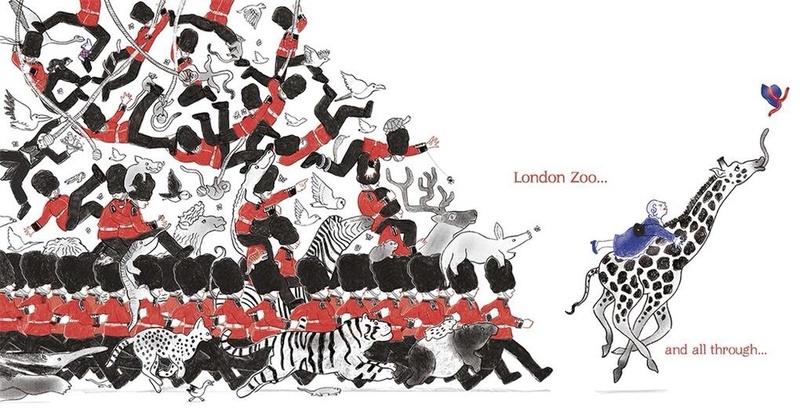 The Times chose it as their Children's Book of the Week in December 2014. It's had fantastic reviews by The New York Times, School Library Journal, The Bookseller, Kirkus, and lots of blogs have featured it, including Buzzfeed and Huffington Post. But what I've loved the most is when people have that lightbulb moment and 'get' the story, especially at events - which can be really fun. The responses have ranged from complete befuddlement to laugh-out-loud hysteria. But one thing is for sure, Mr Panda always gets his point across - which is, if you want one of his doughnuts, you had better say PLEASE! The hashtag #pleasemrpanda is being used on both Twitter and instagram. Some of the photos have been hilarious and very sweet, too. Below are just a few. I've had some lovely emails and tweets about the book. One parent contacted me to say that 'Please Mr Panda' was the first book her son was able to read and understand all by himself, despite his learning difficulties. Some children even dressed up as Mr Panda for World Book Day (below). But it seems as though Mr Panda is not just for the kids. 'Please Mr Panda' was voted 'book of the year' by a high school in the States. And the bookstore displays I've seen (below) have just blown me away. I've written a blog about Lesson Tips here. I've got activity sheets here. Here's an interview where I talk about how being red-green colour-deficient has heavily influenced the way in which I approach colour for all of my books, including 'Please Mr Panda'. Scroll down for the 'Please Mr Panda' video trailer, or press here. 'Please Mr Panda' (or 'Please, Mr. Panda') is available in the States, Canada, UK, Australia and lots of other countries. It'll be translated into several languages, including French, Japanese, Portuguese, Spanish and Korean. The book's available in most bookstores, I think. It's recently been made available in Target in the States. Or you could just buy it online or borrow it from your local library. Thank you for visiting my site! Please feel free to have a look around. Below are a bunch of Mr Panda photos and tweets. Speaking of tweets, you are welcome to tweet Mr Panda photos to @MrSteveAntony. I'll be sure to retweet. I'm on Facebook, Instagram and Tumblr, too. Tales on Moon Lane's doughnut-y bookshop window in London. Peters Booksellers in Birmingham, UK. Amazing! At Barnes & Noble in New York. An unforgettable experience. I've got some pretty amazing news. 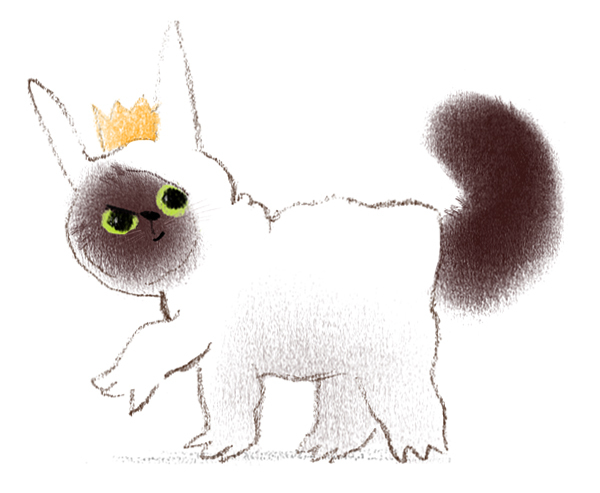 Hodder Children's Books will be publishing my first picture book, 'The Queen's Hat', in hardback in May 2014! I hope you like it!